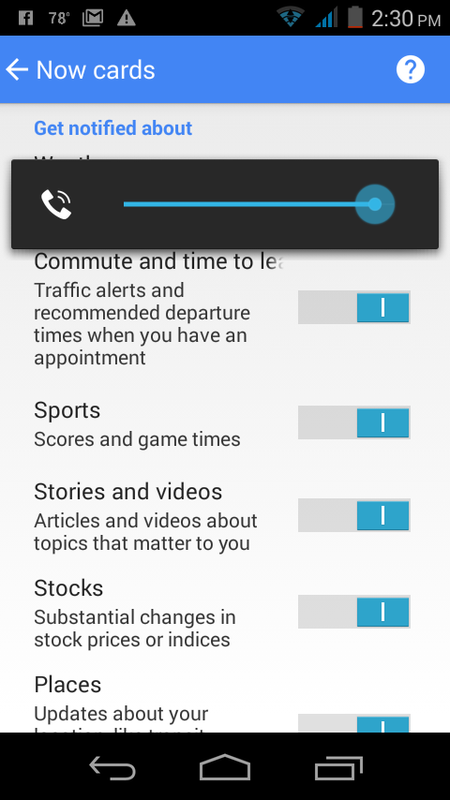 Tap into Android's personal assistant to remember appointments, manage your time, and more. Google Now has made everyday tasks like checking the weather or getting directions easy and even fun. But if you’re only tapping Android’s seemingly omnipotent personal assistant for these novel uses, you’re missing it’s productivity powers. Google Now offers myriad ways to help you be more efficient. Here are a few to get started. 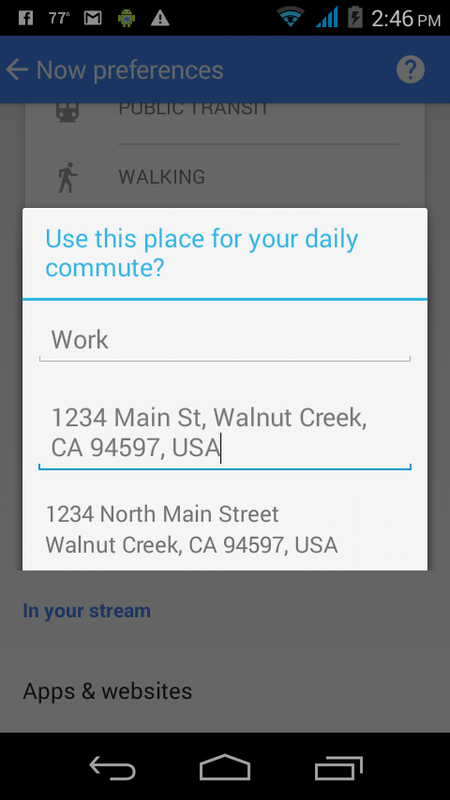 Enable Now cards to get appointment reminders, commute tips, and more. Google Now delivers the information you need when you need it. It does this by tracking your Google searches, scanning your Gmail inbox for clues, and even getting intel from other apps on your phone. It uses this data to serve you “cards”—tiny reminders, alerts, and recommendations tailored to your needs and interests. Google Now cards can remind you of dinner reservations, help you manage your commute, or point you to a trending industry news story you might have otherwise missed. In short, Google Now keeps you on top of your personal business without having to be asked. To enable the feature, open the Google app and go to Settings > Now cards and toggle on the Show cards switch. Then select which cards you want to receive. One of the most popular productivity hacks is the Pomodoro Technique—you break down any big task into 25-minute work intervals separated by 5-minute breaks. The approach allows you to focus in short concentrated bursts with built-in rest periods to keep you motivated. This time-management method has given rise to a world of apps that track your work and rest intervals. But you can do the same thing with Google Now. Just tell it to “set timer for 25 minutes” for each work period and to “set timer for 5 minutes” when it’s time to relax. Inspiration strikes at inopportune times: on the drive to work, in a meeting, at your kid’s school play. 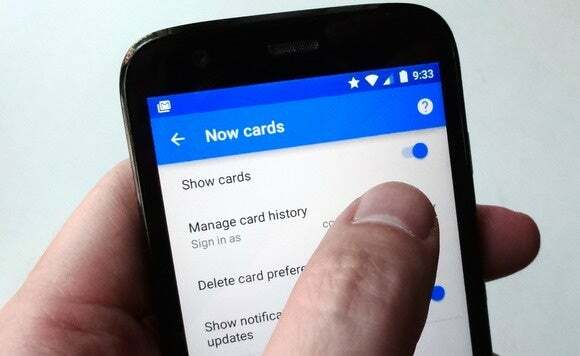 When it’s not possible, or just inappropriate, to type a lengthy note into your phone, you can send a note to your favorite task management app with a Google Now voice command. Just say, “Note to self” followed by the content of your note. By default, Google Now saves the transcribed content to Gmail. But if you clear this in the settings, it will prompt you to save each note to your preferred note-taking app, including Google Keep, Evernote, OneNote, Wunderlist, Todoist, or Trello. You can configure Google Now to recognize specific places and send you location-based reminders. Your to-do list is likely a mix of items to be completed at home, work, and points in between. That leaves the burden on you to remember what needs to be done where, and more often than not, you simply forget. You can leverage Google Now’s location-based reminders to make sure tasks never again fall through the cracks. For example, if you need to touch base with a coworker about a project when you get to the office, you can simply say, “Remind me to talk to Jamie when I get to work.” Google Now will recognize when you’re at work via geo-location services and your phone will send you a notification. To use this feature, you have to first configure your locations. Open the Google app, tap the Menu icon in the top-left corner, and select Customize > Places. Tap Home and Work, respectively, and enter the address for each.